It's all kicking off! : It's all kicking off in Brighton!!! It's all kicking off in Brighton!!! It's all kicking off down the town hall!!!!!!! It's all kicking off in Reigate!!!! It's all kicking off down the school disco!!!! It's all kicking off in Crawley!!!! It's all kicking off in Falmouth!!!!! It's all kicking off in Whistable...again!!! It's all kicking off down the clap clinic!!!! It's all kicking off in the church ...again!!! It's all kicking off at Brighton University!!!! It's all kicking off down the church!!! It's all kicking off in Tulse Hill!!!!!! It's all kicking off down the farm!!!!!!! It's all kicking off down the wildlife park!!!!! It's all kicking off down the airport!!!!! It's kicking off in the Argus...again!!!!!! It's all kicking off down the bakery!!! It's all kicking off in Torfaen!!!!!!!!!!!!!! It's all kicking off in East Grinstead!!!!!!!! It's all kicking off down the park...again!!! It's kicking off in this man's arse!!!!!!!!!! It's kicking of down the park!!! It's all kicking off down the diner!!!!! IT's kicking off in Southshore!!! It's all kicking off in Mid-Sussex !!!!!!!!! It's all kicking off in Worcestershire!!!!!! It''s all kicking off in Lancaster!!!! It's all kicking off in Bolton!!!! It's all kicking off in Colyton!!!! 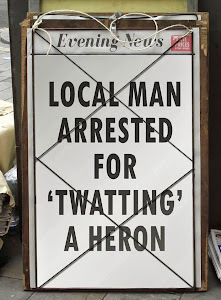 It''s all kicking off in Swindon!!!! It's all kicking off in Aberystwyth!!!!! It's all kicking off in Scarborough!!!!! It's all kicking off in Whistable...again!!!! It's kicking off in the Morgue!!! It's all kicking off in Sacrmento!! It's all kicking off in over there!!! It's all kicking off in Litchfield!! It's all kicking off in Preston!!! It's all kicking off in Warrington!!! It's all kicking off in North Devon!!!! It's all kicking off in Birmingham!! It's all kicking off in Salisbury!!!!!!!!! It's all kicking off up Westmorland!!!! It's all kicking off down Dulwich!!! It's all kicking off in Whitstable!!! It's all kicking off in Worthing!!!! It's all kicking off down the sleep clinic!!!! It's all kicking off near my house!!!!! It's all kicking off in Cambridge!!! It's all kicking off in Potters Bar!!!! It's all kicking off at the North Pole!! It's all kicking off in Southampton!!!!! It's all kicking off in Croydon!!!! It's all Kicking off in West Greeley!!!!!!!! It's all kicking off in Manchester!!! It's all kicking off in London!! It's all kicking off in South London!!!! ..again. It's all Kicking off on Endor!!!!! It's all kicking off in Whitby!!!!!!!!! It's all kicking off in Lambeth!!!!!! It's all kicking off in Broadway!!! It's all kicking off in Margate!!!! It's all kicking off in Maryport!!!! It's all kicking off in Preston!!!!! It's all kicking off in Norwich!! !